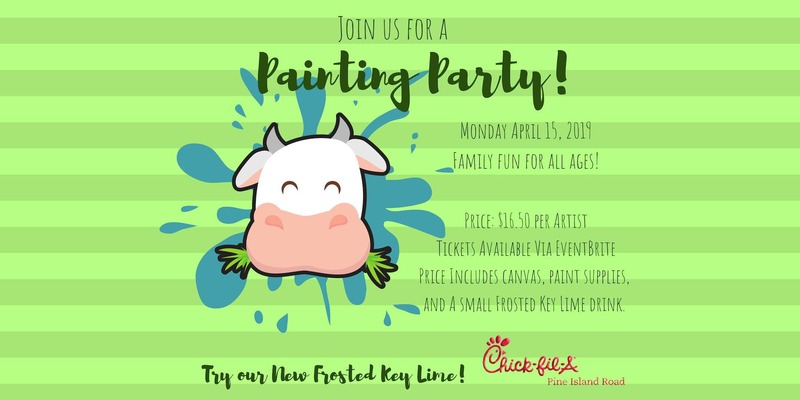 Join us for our Family Night Painting Party on Monday, April 15, 2019! Your ticket price ($16.50) will include your canvas, paint supplies, and a small Frosted Key Lime Shake. Leave with some wonderful works of art! Sign up your artists to create a "Moo"-sterpiece. We will have two seatings one beginning at 5:30pm & one beginning at 7:00pm- each lasting one hour.